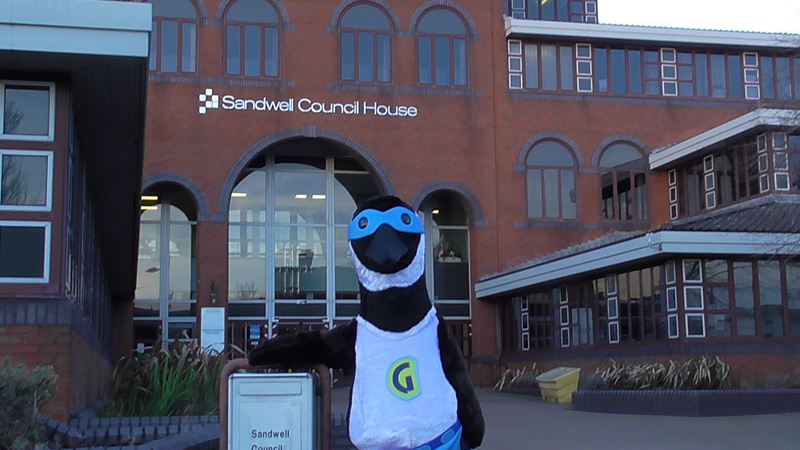 Today a democratic missile payload was delivered through the front doors of Sandwell Council house. 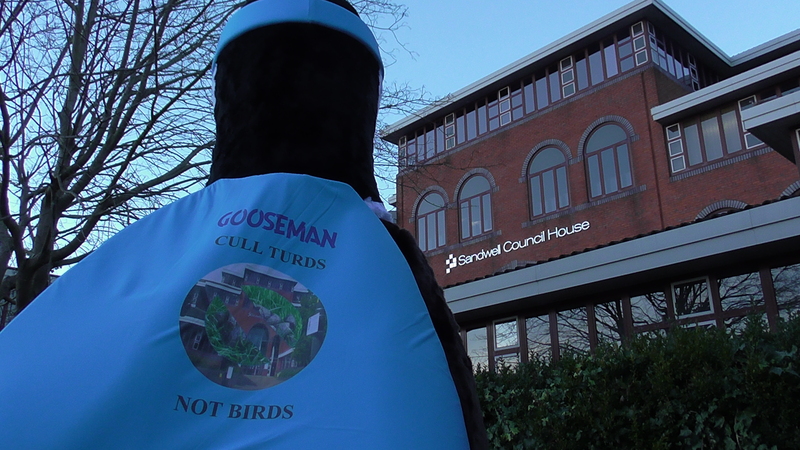 The paper petition of over 1500 signatures- a culmination of several months work , was handed over to “Democratic services” calling for a senior officer of Sandwell council to give evidence under scrutiny about the goose cull, and also demanding no further culls to take place in the future. 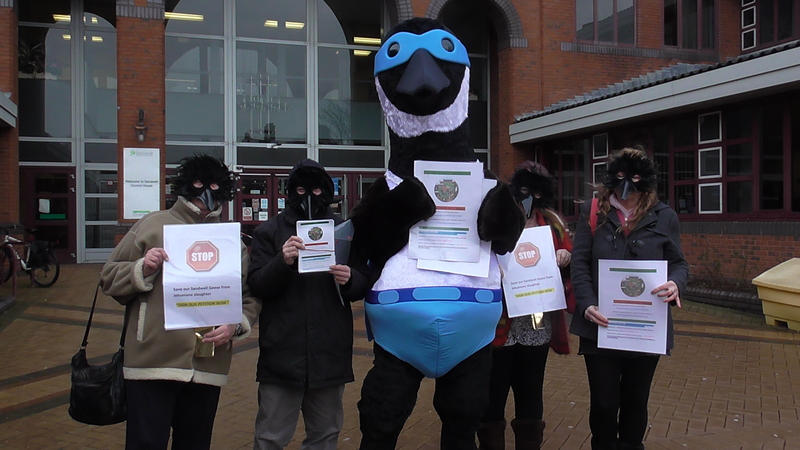 The 85 sheet statement was presented by Gooseman, our mascot, whose rise we have been plugging on our facebook page for some time. Backed up by his flock from “Anonygoose” at 1500 hours, the feathered delegation unleashed the tide of scrutiny, that the decision to cull never received from its biased officer report that recommended it. 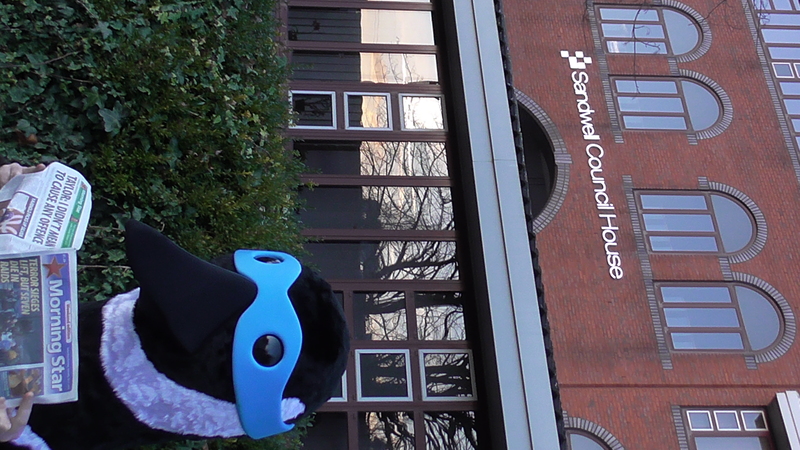 We now await the response from Sandwell Council- but a receipt was obtained for proof of delivery. 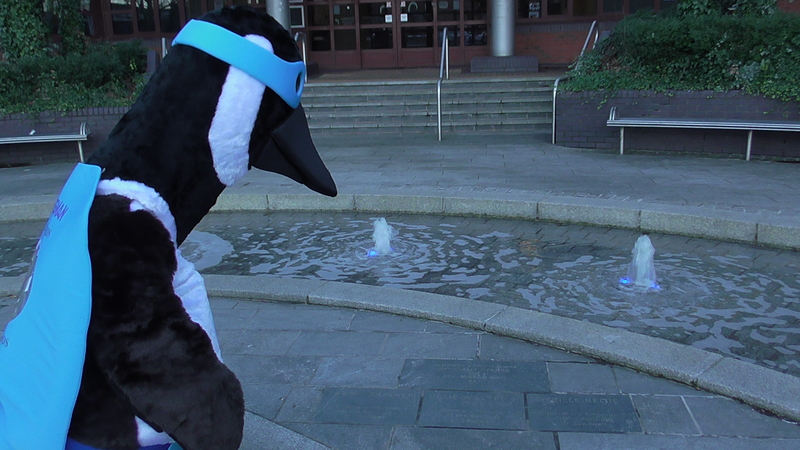 The look on some of the members of staff’s face was a picture, but we would like to state, that like the Canada goose whose demeanor and character that this council has so tarnished and misrepresented, the flock were non aggressive and left behind no turds in the council house that were not there already. 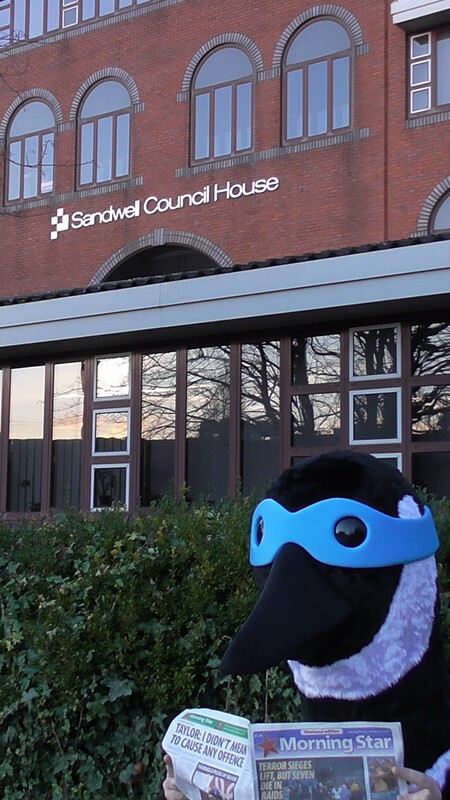 For Gooseman, this was not the first Sandwell outing since arriving South from his homeland. Alternatively known as Garry Gander, this park knight caped crusader is one big bird that packs a mean winged punch. His arrival at the politburo, presented him with a curious mixture of investigation and interest. 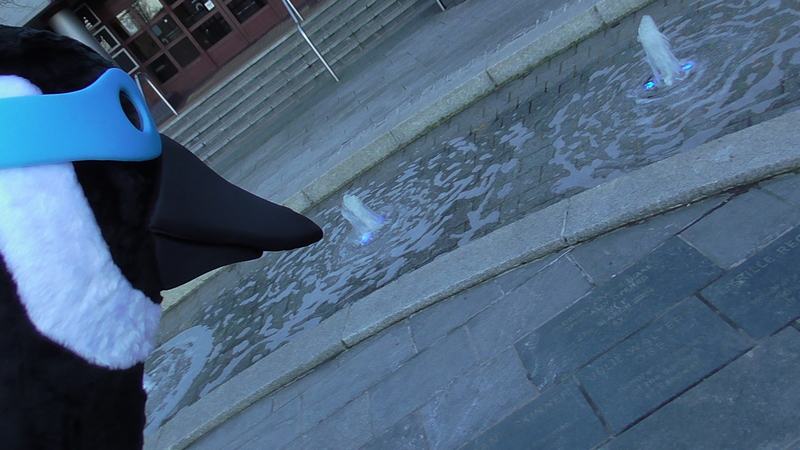 Firstly a body of water spouting from the ground, how curious he thought as he went to investigate. 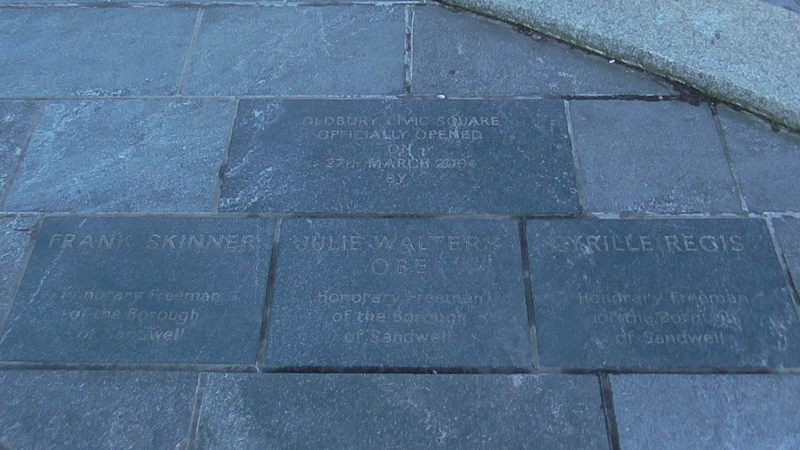 Some names he had never heard of were “freemen” of the borough of Sandwell, quite in contrast to the stories he had heard of his caged brothers and sisters who had been so cruelly dispatched by the cruellest council in Britain- and who exactly was this “baggie bird” he had heard of? A copy of a paper fluttered from the rafters of the large public building which appeared closed, and deserted of people, so like those, the many he had noticed when flying over West Bromwich from the Sandwell Valley. “Very interesting” thought the avian visitor as he thumbed the pages scanning the information contained. 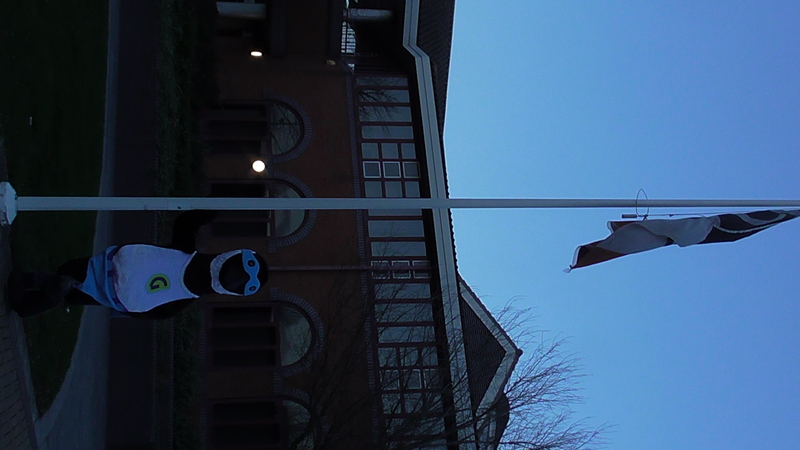 After depositing the paper in the trash bin, he next noticed a large flagpole, not a green flag but another one. 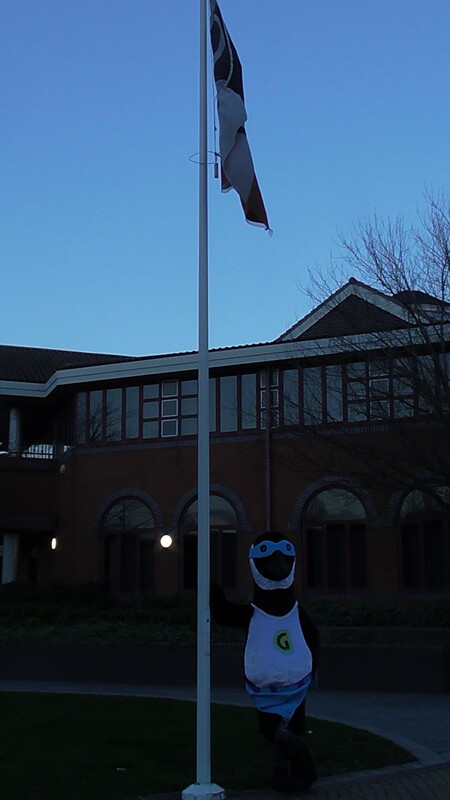 Considered Gooseman, if he was to replace the flag, or even those in some of the parks in Sandwell with a red one, would they keep it flying there? So much to do, and so little time. He had done his reccy, and couldn’t resist goose stepping in front of a large sign. 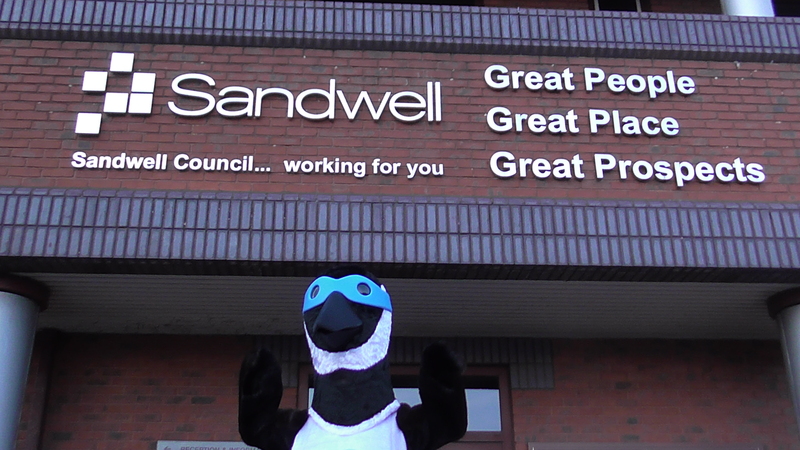 Hmm thought Gooseman, Sandwell may well boast having “Great people” being a “Great Place” with “Great prospects”, but why were some people so prejudice towards some species of bird like himself? They must be very angry people indeed.